Uploaded by npdp1 on Jan 10, 2012 | Illinois Lake County Forest Preserve Burnt Off An Area At North Point Marina in order to control the cattails. CONTROLLING CATTAILS: The acreage of cattail-dominated wetlands in the United States has increased drastically since the early twentieth century due to changes in hydrology and land use. The optimal control technique for a given site will depend on the hydrologic state of the site, the size of the area to be managed, and if the manager is able to manipulate water levels. Prescribed Burning: Most cattail marshes must be burned in winter or before significant growth has occurred in spring; these are generally the only times when fuels are dry enough to carry a fire, although frozen ground or saturated soil may impede the fire’s progress through the cattail duff. Fire is most effective as a control method when followed by naturally or artificially high water levels in the spring to smother residual stalks. umsnre | December 9, 2010 | Students in SNRE professor Bob Grese’s Ecological Restoration course conduct a controlled burn in Dow Field in Nichols Arboretum, Ann Arbor, Michigan. HDProducer | October 26, 2010 | Dr. Dale Rollins of the Rolling Plains Quail Research Ranch (Texas) describes the art of building good quail habitat and Prickly Pear control using fire. wildflowercenter | August 4, 2010 | Head fire in the gallery meadow. wildflowercenter | August 5, 2010 | This is a time-lapse video of the maintenance prescribed burn of the savanna meadows at the Wildflower Center. Progress is being made in archiving a series of convenient, concise guidance articles within Homemade Wilderness’ reference pages. 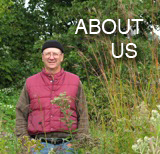 Now, when you or your friends wonder how to combat a weedy species, just click on the Weeding Out Invasive Plants tab at the top of this site to become familiar with your management options, then follow the link provided to access the most effective control advice based on current research for combating the particular species of concern to you. This brief but very well-produced video depicts a typical grassland burn. See photos and read more here.